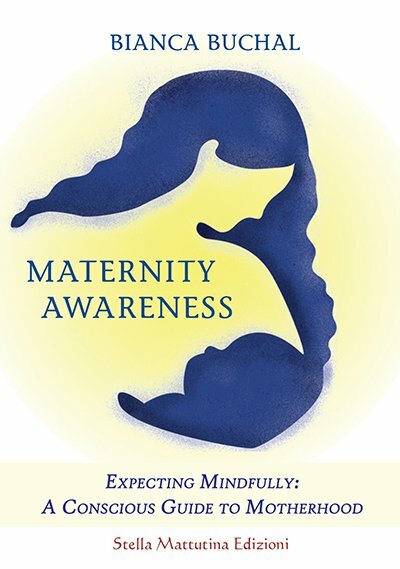 Maternity Awareness | a book for parents who feel invested with a sacred role, in which the child-mother-father triad represents the keystone for the creation of a new world. Life before birth is the heart and core of this book. The child takes shape in the love of the mother and the father; it feeds on food but also on external stimuli, such as music, colours, blessings, caresses, the voice of mum and dad… that will leave an everlasting mark. From loving conception to childbirth, perceived as a moment of health, growth and development, this book will accompany future parents in the rediscovery of an ancient experiential knowledge, which is renewed in the simple and profound teachings of a universal Mother. – The lotus birth, the natural birth, the birth in water, the caesarean section. Bianca Buchal | She has been working for decades on birth and has actively participated in multiple associations devoted to this purpose, occupying managerial roles. For over ten years she has been the Italian delegate for the Omaep – Organisation Mondiale des Associations pour l’Education Prénatale – based in France, she has dedicated her life and has participated in numerous seminars and conferences on the prenatal theme, in various parts of Italy. She launched an experimental project in order to introduce into schools the theme of “conscious birth” with the approval of the Ministry of Health. She has translated numerous texts and publications on the same subject from French, English and German. In 2002, she promoted and coordinated a series of conferences on conscious pregnancy sponsored by the City of Milan. Since a few years, she created a website www.gravidanzaconsapevole.org that she coordinates and keeps alive. Since 2009 there also is an English version available www.maternityawareness.org.